Cats are carnivores and we believe they deserve to thrive on real minimally-processed food – the way nature intended. Because the closer foods stay to their natural state, the better they are. 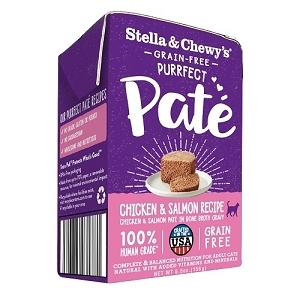 It’s what your cat would eat in the wild, only better, because all Stella & Chewy’s dinners are specifically formulated for your cat’s nutritional needs and made with premium ingredients you can count on. Cats are carnivores & we believe they deserves to thrive on real minimally-processed food - the way nature intended. Because the closer foods stay to their natural state, the better they are. 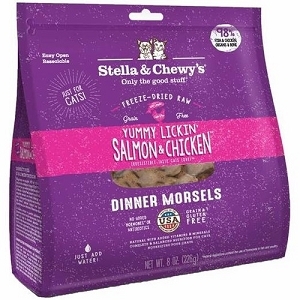 It's what your cat would eat in the wild, only better, because all Stella & Chewy's Dinners are specifically formulated for your cat's nutritional needs & made with premium ingredients you can count on. *100% complete & balanced for all life stages. The taste & Nutrition Cats Naturally Crave! For every cup of freeze-dried cat food, add half a cup of warm water. Provide your cat access to fresh water. Sudden changes in diet, including overfeeding, can sometimes result in digestive issues. 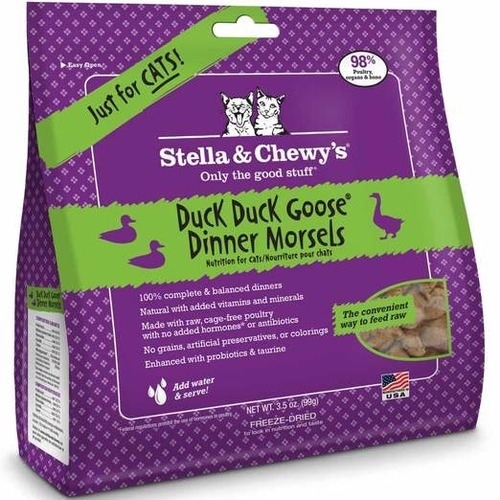 Always introduce any new food by slowly mixing with your current diet for the first 7-10 days, increasing the amount of Stella & Chewy's while decreasing the amount of the other brand.